Henna comes in a variety of greens and browns. It is not possible to determine its quality by its appearance. The best way to know if it is good. is to test it. Many companies overseas sell henna that contains a green dye or green dyed sand which has no affect on the henna or the stain. It is merely used for aesthetic purposes to make the henna appear fresh. There is a large variety of henna out in the market that comes in powder form, pre-mixed pastes and as pre-assembled kits. Most of the local Indian/Middle Eastern grocery stores may have the packaged henna sitting out on the shelf for a long time and therefore may have demised (lost its quality). The pre-mixed pastes that come from overseas do not have ingredients labeled on the packaging. They often contain chemicals or other harmful substances that may result in allergic reactions. Be very cautious of these products, especially ones labeled Kali Mehndi or Black Henna which contains a very toxic substance called PPD (paraphenylenediamene). PPD is a cancer causing agent that tends to burn the skin and cause other severe reactions. It is best to stay away from chemiclas and use henna in it's purest form and add natural ingredeints to your mix that are healthy and rejuvenating for the skin and hair. The henna found at local stores may also be too grainy or may have foreign particles that tend to clog applicators. If you do end up buying such henna, dont be too disappointed because it usually works great on hair and nails, and is perfect for practicing and fine-tuning your design work. Use it on yourself, on paper, or even make a lamp! It will also cool down those burning and tired feet at night if placed on the soles! When shopping for the best quality henna, be sure the product is fresh from a hot climate, hasn't been sitting on the shelf or storage very long, is 100% natural (free of any materials other than henna) and is of a high quality brand you can trust. There is a lot of henna out in the market and overseas that claims to be superb, finest or best quality. Watch out for these labels. It is not always the best! The only way to know its effects is to test it. 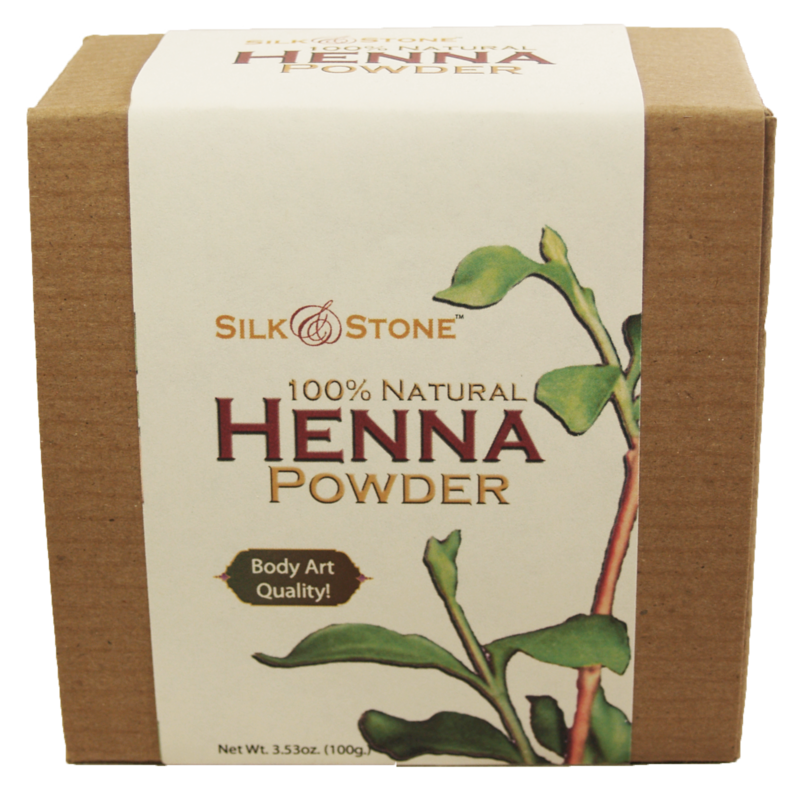 Shop our store for high quality henna powder and supplies. There is a wide variety of recipes people use throughout the world to make their henna. Some work better than others. An easy way to test henna to see if it has a good color is to mix 1/2 to 1 tsp. henna with some lemon juice until it is of toothpaste consistency. Scoop paste into a plastic zip bag and place in a warm place for a few hours. Snip a fine hole in the corner of the bag where the henna is. Apply a small henna design or a dot on the inside part of the wrist. Let it sit for 10 minutes. Wash off. If it stains the skin a bright orange color, it is good henna and can be mixed with other ingredients to produce a high quality stain. If the stain is barely there or not there at all, chances are the henna has demised and will not produce good results and therefore, may not be worth your time or efforts to mix with costly ingredients. This henna, however, can be mixed with water and used for practicing henna designs or highlighting/conditioning the hair.